+71 pages with diagrams and index. 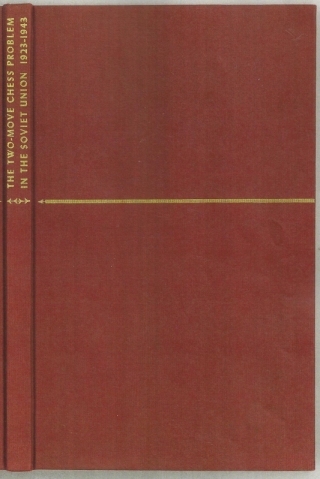 Octavo (8 1/2" x 5 1/2") issued in red cloth with gilt lettering to spine and gilt stripe to front cover. 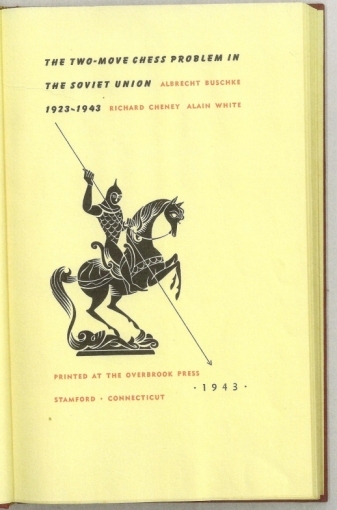 Edited by Albrecht Buschke, Richard Cheney and Alain White. Limited to 300 copies. Title page decoration by Vera Back. Errata tipped in. (Betts: 36-7). First edition. A Collection of 120 problems by Russian composers, with notes on the themes, constructions and composers. The problems are arranged in four groups and further sub-divided by theme. Includes an index of composers, sources and keys. A near fine copy with the original brown dust wrapper.